You are here: Home / CBDA News / Latest News / CBDA Music Train! 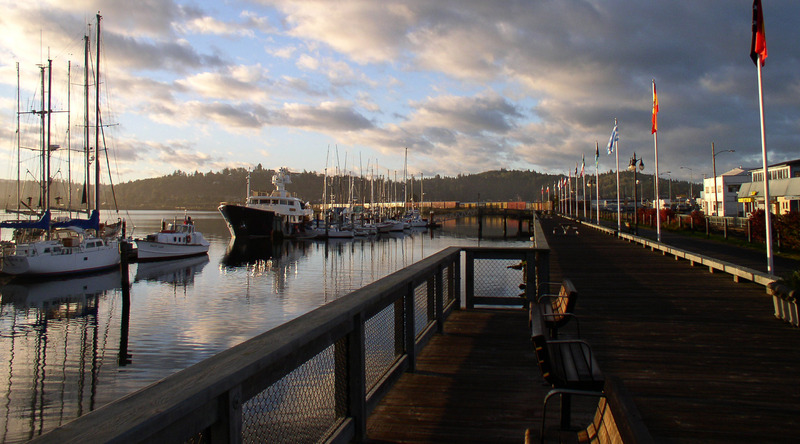 The Coos Bay Downtown Association in conjunction with the Oregon International Port of Coos Bay is pleased to be a part of the Railroad Centennial Celebration August 5-7. The first train on the Coos Bay rail line from Eugene arrived in North Bend in 1916. The two cities, North Bend and the then Marshfield, celebrated the train’s arrival with a Railroad Jubilee. 100 years later the cities, along with the port will commemorate that arrival with a series of events. Train rides will be offered all 3 days with other events planned through the weekend. 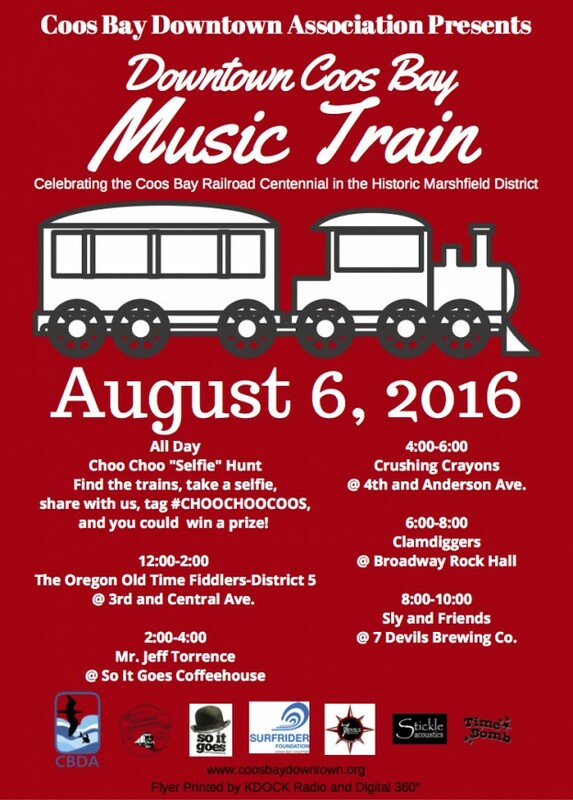 The Coos Bay Downtown Association is sponsoring a musical event called “The Music Train” and is promoting a “selfie” scavenger hunt with prizes. The Music Train features musical events throughout the Historic Marshfield District starting at Noon on August 6th, 2016. To participate in the “Selfie Scavenger Hunt” look for the red-colored trains in the windows of Coos Bay Downtown Association members and Instagram or Facebook your selfie! Use the hashtag #choochoocoos to enter. The CBDA will award prizes at the end of the contest. For more information on all the events during the RR Centennial Celebration, download the app CoosRail2016 or access the app at https://eventmobi.com/coosrail2016/. 8:00 to 10:00 – SLY AND FRIENDS – 7 Devils Brewing Co.